Details: This township is coming up at Tech Zone IV in Greater Noida West. 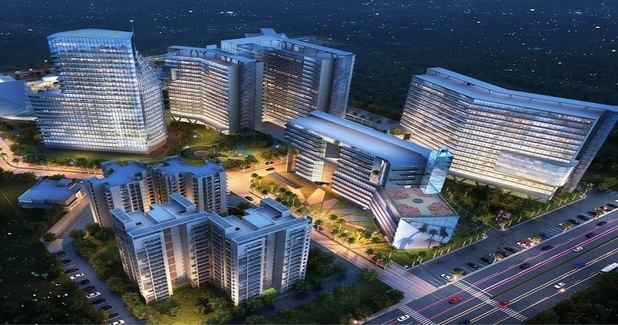 The project is planned in 25 acre, comprising 3 IT office towers, 4 residential towers and 1 mega retail mall. It has 720 shops with big anchor stores if 21000 sq ft each. The retail mall is biggest stand alone high street in 9.6 Acres within the region. The amenities include Swimming Pool, Gym, Parking, Business Center, Conference Hall, Multi Cuisine Restaurant, 6 Screen Multiplex, Food Courts, Spa, Anchor Stores, Rain Water Harvesting, etc. C-26, Sector-67, Noida-201301, Uttar Pradesh.